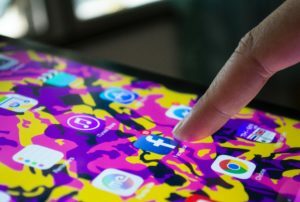 Social networking sites (SNSs) are now an integral part of our everyday lives, with most of us using social media platforms such as Twitter, Facebook, and Instagram daily (or indeed several times a day) to stay connected with family and friends. Notwithstanding the value that SNSs offer users, there is growing evidence to suggest that some users engage with SNSs in maladaptive ways, potentially resulting in new, or exacerbating existing, psychological problems. In our study recently published in BMC Psychology, we set out to understand problematic social networking use more clearly, focusing specifically on the use of the popular SNS, Facebook, and its association with social attachment. Specifically, we explored four forms of problematic Facebook use. A wealth of recent studies indicate that using Facebook in these ways is linked to low mood and low self-esteem in some users of the site. Therefore one important question is “What is driving certain people to use Facebook in these problematic ways?” One possibility is differences in social attachment. Attachment behaviors that an adult engages in are influenced in large part by the quality of their attachment relationship with their primary caregiver(s). Adult attachment is typically considered to exist along two continuums – attachment anxiety and attachment avoidance. Attachment anxiety is thought to be related to a history of inconsistent caregiving experiences, in which the caregiver was at times sensitive to the infant’s needs, and at other times non-responsive. High levels of attachment anxiety in adulthood are associated with emotional lability, increased dependency, and preoccupation with the availability of others, as these individuals strive to keep people close. Attachment avoidance on the other hand, has been linked to early interactions in which the primary caregiver was unresponsive to the needs of the infant and was emotionally unavailable when the infant showed signs of dependence. In adulthood, high levels of attachment avoidance manifests in resisting intimacy, inhibiting emotional expression, and a having a strong sense of independence, while also striving to remain connected to the people in their lives. Given Facebook’s highly social platform, we wondered whether people with high levels of attachment insecurity would be motivated to use Facebook in unhelpful ways as a means of connecting with others. Given the tendency for human attachment systems to become activated during times of stress, we predicted that psychological distress and low self-esteem would mediate the relationship between adult attachment and problematic Facebook use. We found that those people with high levels of attachment anxiety and low self-esteem, engaged in all four problematic Facebook behaviors when feeling distressed. In our study, 717 adult Facebook users completed a host of online questionnaires pertaining to psychological distress, self-esteem, attachment, and Facebook use. We found that those people with high levels of attachment anxiety and low self-esteem, engaged in all four problematic Facebook behaviors when feeling distressed. Engaging in social comparison as a route to self-enhancement, portraying an idealized self that may be attractive to others, disclosing personal information, and using the site intrusively were considered to be motivated by a desire to elicit contact and connection from others online. We also found that when distressed, those people with high levels of attachment avoidance and low self-esteem, engaged in impression management and intrusive Facebook use that impacted their social relationships offline. This too is understandable when considering that Facebook is likely to offer a less threatening forum within which to have one’s attachment needs met, for those who shirk intimacy in their offline relationships. These findings are important for users of Facebook for several reasons. Most importantly, learning about the patterns of Facebook use that are linked to negative outcomes such as low mood and depression, may alert people to be more mindful of the ways in which they engage with social media platforms. It can also help mental health professionals assess risk factors for problematic on-line social networking. We suggest that our four problematic Facebook behaviors can resemble maladaptive attachment behaviors, used to maintain close social connections. While those high in attachment insecurity may derive some comfort and relief from using Facebook in these ways, these positive benefits may be short-lived. Use of Facebook in these ways may potentially maintain or lead to further distress and low self-esteem since Facebook, and other SNSs are poor substitutes for real-world, bi-directional, and supportive social relationships. Dr Sally Flynn is a Clinical Psychologist who works with the Health Service Executive (HSE), providing psychological support to children, adolescents, and their families. Her research and clinical interests include attachment, attachment based family interventions, social media/ social networking use, and cyber Psychology. Dr Kiran Sarma is a Senior Lecturer on the Doctorate in Clinical Psychology training program at the National University of Ireland, Galway. He leads the Risky and Extreme Behaviors Research Group (REX-GROUP) at the School of Psychology, which focuses on risk-taking (e.g. leading to Road Traffic Collisions, drowning etc.) and violence and aggression (e.g. violent extremism). His research is funded by the Road Safety Authority, Irish Water Safety, Royal National Lifeboat Institution, European Commission, Irish Government, Defense Forces Ireland, and Health Service Executive among others.